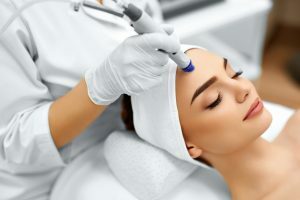 Few spas offer the level of groundbreaking technology in skin rejuvenation that New York’s leading medical spa, Aesthetic Artistry, integrates into their skin treatments. One of the most revolutionary therapies in wrinkle reduction available today is CooLifting, the latest innovation in non-invasive skin care to treat lines around the eyes, forehead, smile/frown, cheeks and lip area. Leaving skin plump, firm and hydrated, CooLifting uses cutting edge technology for beautiful results with no downtime or side effects. Yielding immediate results in a matter of minutes, CooLifting unlocks your skin’s own potential for radiance by deeply penetrating the layers with a cold flow of carbon dioxide to firm, lift and hydrate without side effects, downtime or any discomfort. Using a patented delivery system known as the CooLifting beauty gun, our NYC-based aestheticians use CooLifting therapy to rejuvenate the face by revitalizing the skin’s own youthful properties. The technology works by projecting a powerful, controlled flow of carbon dioxide at a low temperature onto the skin. This delivery system allows for a high concentration of propriety gel, made of natural hyaluronic acid with plant botanicals, to penetrate the epidermis. The cold flow of carbon dioxide and propriety gel, combined with high pressure application, activates blood microcirculation, which induces the formation of collagen and elastin to increase tissue oxygenation. The extreme cold, along with the high pressure applied to the skin, also causes a deep and instantaneous skin reaction that reduces inflammation and stimulates underlying tissues. The treatment takes 5 - 10 minutes and offers immediate results as the appearance of fine lines diminish and the skin becomes youthful and firm. 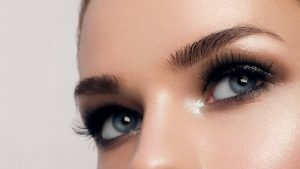 Our New York medical spas located in Manhattan and Staten Island have licensed aestheticians administering treatments and consulting with you every step of the way. After your CooLifting treatment, you may return to your normal skin care routine. Aesthetic Artistry carries a full line of advanced home care products at each of their NYC locations, including Skinceuticals® and Image Skin Care®, to help improve and maintain your skin’s overall health and appearance. HOW OFTEN CAN I get coolifting done? It is recommended that CooLifting be done 6 times in the 1st month and then once a month afterwards. Book an appointment with Aesthetic Artistry in one of their NYC locations for a free consultation to find out the best approach to your skin care and if see CooLifting is right for you.